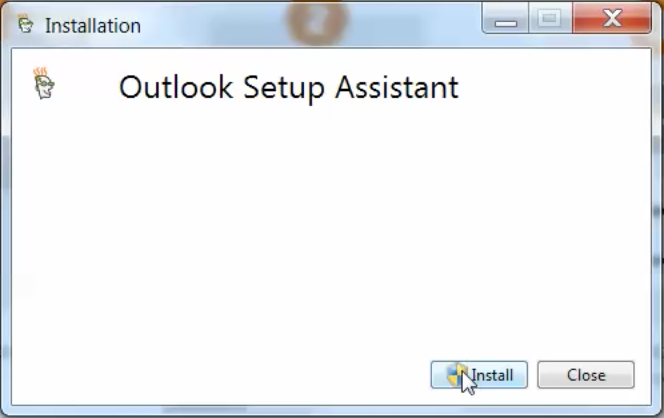 Use the Outlook Setup Assistant tool to automatically set up your email in Outlook. 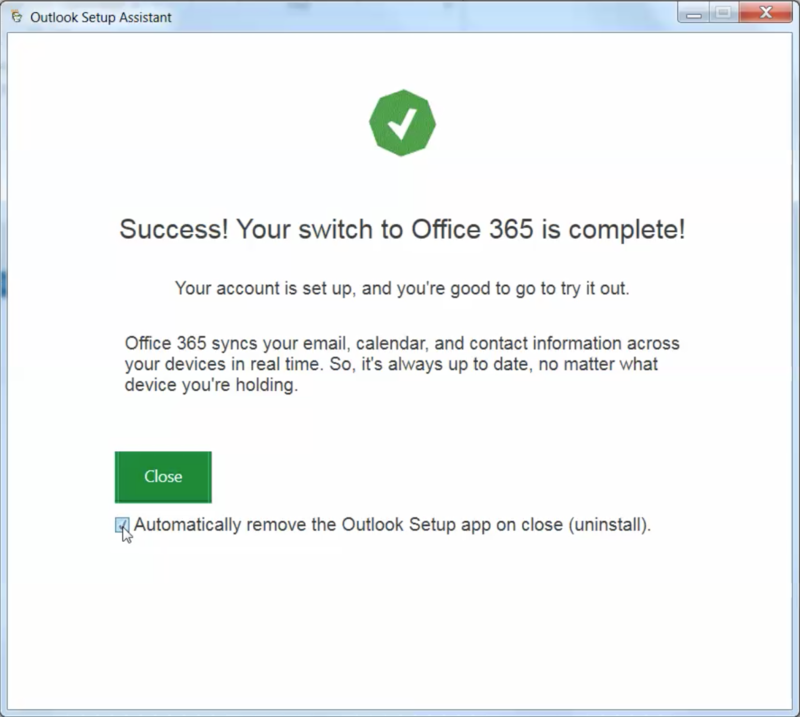 Required: If you are moving from a POP Email Service, you and your users are required to use the Outlook Setup Assistant to setup your accounts. The Assistant will copy over your client configurations and prepare each desktop with the existing settings. 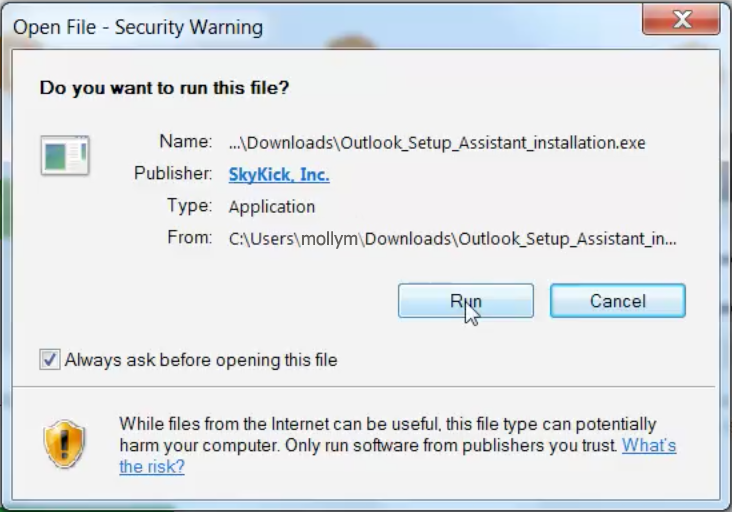 Download the Outlook Setup Assistant tool. Note: The Outlook Assistant tool will only work on Windows using Outlook 2010 or later. Open the downloaded file, called Outlook_Setup_Assistant_installation.exe and click Run. 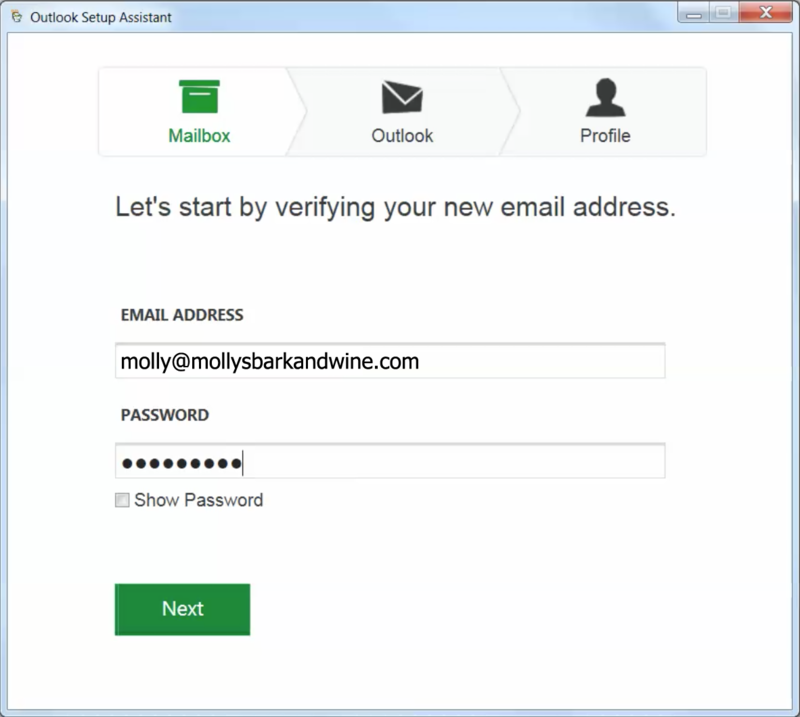 Enter your Office 365 email address and password, and click Next. Note: This creates a new Outlook profile and sets it as the default. If you already had a profile, it is still available. You can manage your default profiles in Outlook. 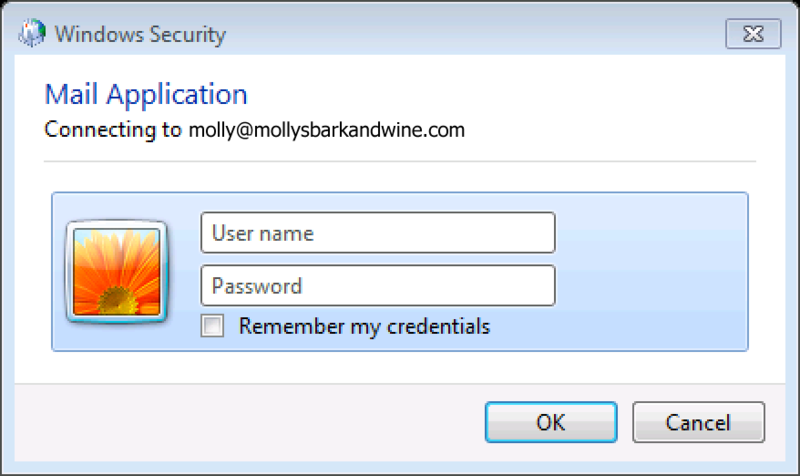 Enter your same Office 365 login credentials in the dialog box that appears, and click OK. Note: Outlook may open in the background; please wait on the Outlook Setup Assistant window until you see the Success!... screen. 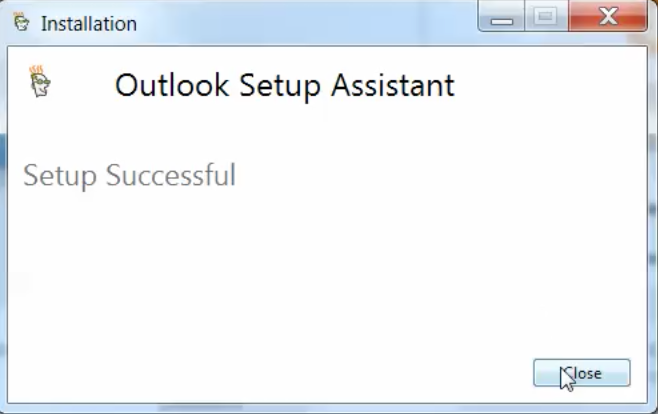 Check the box that says Automatically remove the Outlook Setup app on close (uninstall), and click Close. On the Installation window in the background, click Close. Your Outlook should be ready to use! Try sending a test email, to be sure everything is working. Where did my other Outlook profile go? It's still there, set Outlook to prompt for a profile. The automatic setup didn't work, what should I do? Try manually configuring Outlook.